I must have a word with the author of this recipe! 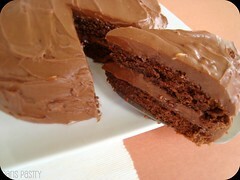 The person who submitted this recipe to AllRecipes.com named this chocolate wonder ‘Rocky Road Fudge Bars’. I resent that! I would call this recipe ‘Brownie-meets-Blondie-meets-Cheesecake-meets-Marshmallows dipped in Chocolate Frosting’. How about that? Sure, the name is inconveniently long, but it gives these bars a proper description. 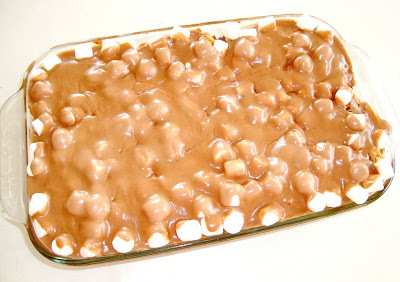 These bars weren’t fudgy and didn’t resemble rocky roads (except for the mini-marshmallows), which is a thing you need to keep in mind when making these. With all of the fabulous ingredients, I expected these bars to taste better than they did, so I'm giving these bars a 3.5 out of 5. 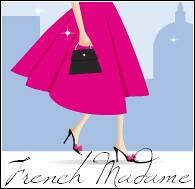 - Preheat oven to 350 degrees F (175 degrees C). Grease and flour a 9x13 inch baking pan. 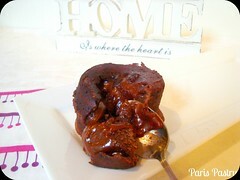 - In a medium saucepan, melt chocolate and butter over low heat, stirring occasionally. 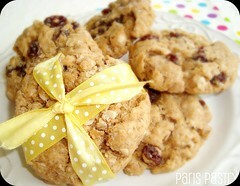 Remove from the heat and add 1 cup sugar, 1 cup flour, baking powder, vanilla, 2 eggs and walnuts. Stir until well blended. Spread evenly into the bottom of the prepared pan. 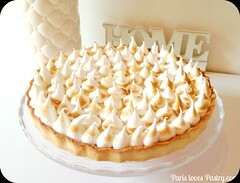 - For the next layer, in a medium bowl, beat the 6 ounces of cream cheese (reserve 2 ounces of the package of cream cheese for the next layer) with the ½ cup of sugar, egg, 2 tablespoons of flour, ½ teaspoon of vanilla, and ¼ cup of butter. Mix until fluffy and smooth. Spread evenly over the first layer. 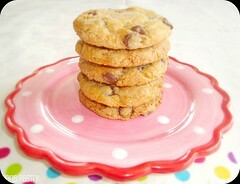 - Sprinkle the ¼ cup of chopped nuts and chocolate chips over the second layer. Bake for 25 to 35 minutes in the preheated oven. Then sprinkle the miniature marshmallows over the top. 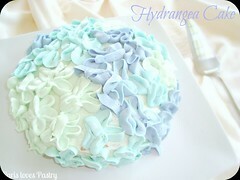 - Begin to prepare the icing while the bars are in the oven. In a medium saucepan, melt together the ¼ cup of butter, 1 square of chocolate, remaining 2 ounces of cream cheese and ¼ cup of milk. 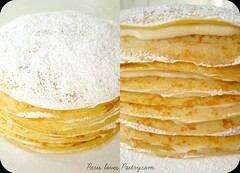 Remove from heat and stir in 3 cups of confectioners' sugar and 1 teaspoon of vanilla. Beat until smooth. Pour over the marshmallows. 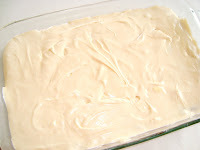 Refrigerate until firm, cut into squares. Layer 1, 2, 3 and 4. 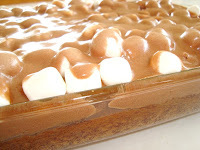 My ‘Brownie-meets-Blondie-meets-Cheesecake-meets-Marshmallows dipped in Chocolate Frosting’ bars. Despite the not-so-high rating I gave them, I can’t keep my hands off them... the chocolate calls to me! Sticky, gooey and loads of chocolate! 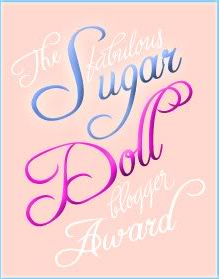 'The Fabulous Sugar Doll Blogger Award'! Do you run into this a lot with all recipes website? Sometimes I'm scared to try them and always feel safer with one out of a book. 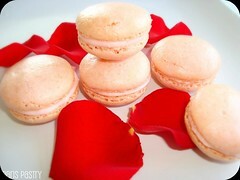 They do look gooey and yummy though. These sound like a great combination of all sorts of things that I like a lot! Very nice. 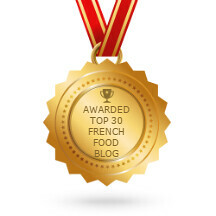 @Bonjour Madame: Yes I prefer recipes out of cookbooks - those are no-fail. 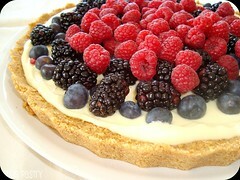 I only use recipes from AllRecipes.com that have very high reviews and even those are sometimes a downer! 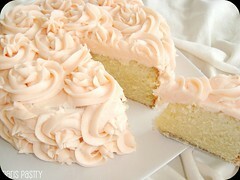 Wow this looks gooey and amazing!! 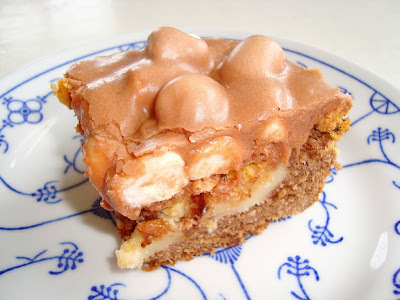 It's always disappointing when something with "fudge" in the name ends up not being fudgey at all...but honestly, I'm totally making these this week. Anything blondie-like in texture is a yes in my apt! thought these would have rated better. As you said there s so many good ingredients in these they should tasted better. Aw sorry about your disappointment about them not being "proper rocky roads" its so irritating when that happens :( they still look delicious though :D, shame they weren't what you were expecting. oh me - oh my - they look good! You would think with all those yummy ingredients the bars would have tasted better, the photos sure look delicious! What a downer! Yummy. My sister loves chocolate so I'm going to make this for her. Thanks for sharing. That stinks! 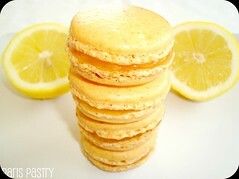 With so many ingredients you would hope that these were off the hook good!